ReelBean is a light application that allows us to play a large amount of formats, convert videos, perform small enhancements and burn video and audio. On many occasions we find ourselves faced with the problem of having to look for a multimedia player that also offers us other functions, like editing video or converting files to other formats. ReelBean is a tool with which we will be able to perform all these operations. 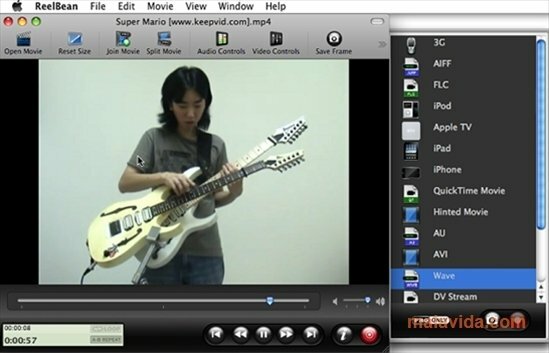 - Converts video to various formats (iPod, QuickTime, MPEG4, AVI, among others). - Plays more than 50 video and audio formats. - Burns video and audio. 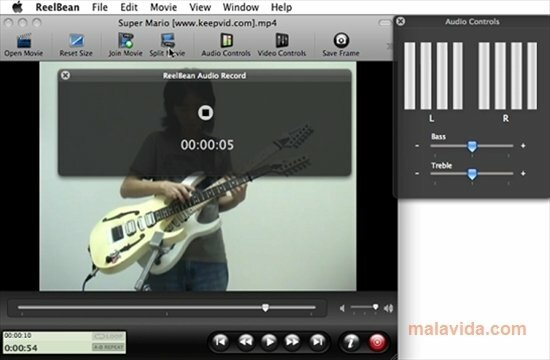 - Extracts audio and video tracks. - Adds notes to the videos. 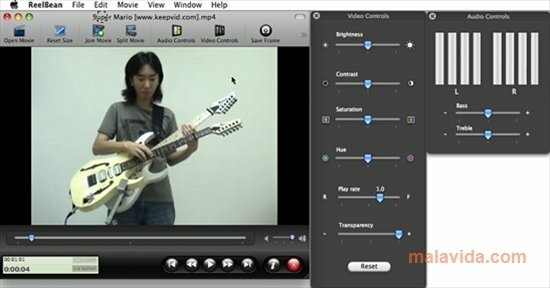 It also allows us to apply small enhancements to the videos, which will allow us to avoid having to resort to more complex applications. What's more, we will be able to see video streams without having to access the website where they are logged. 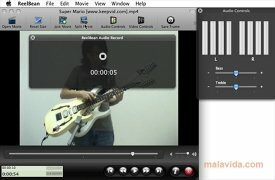 ReelBean is a program that gathers many possibilities to play, convert, and edit. And all this with a simplicity that will definitely make things a lot easier.